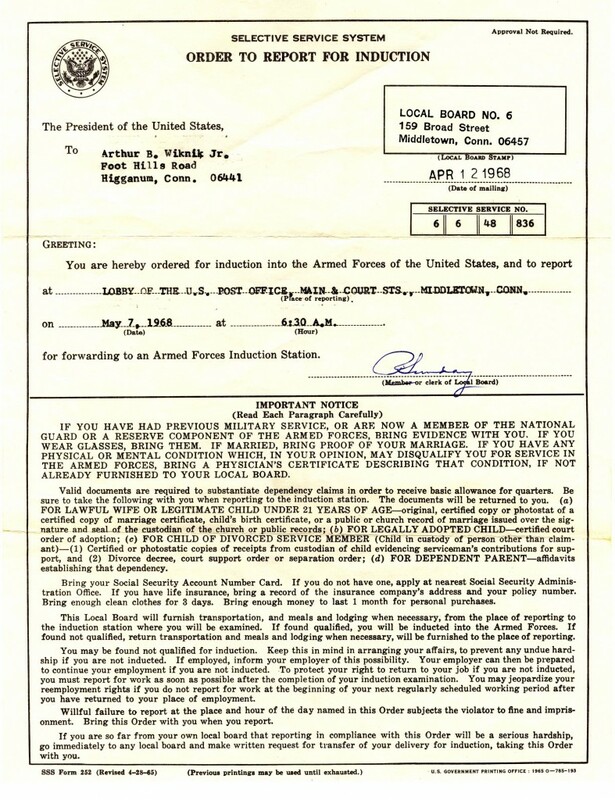 I’m in the Army now (author’s draft notice). 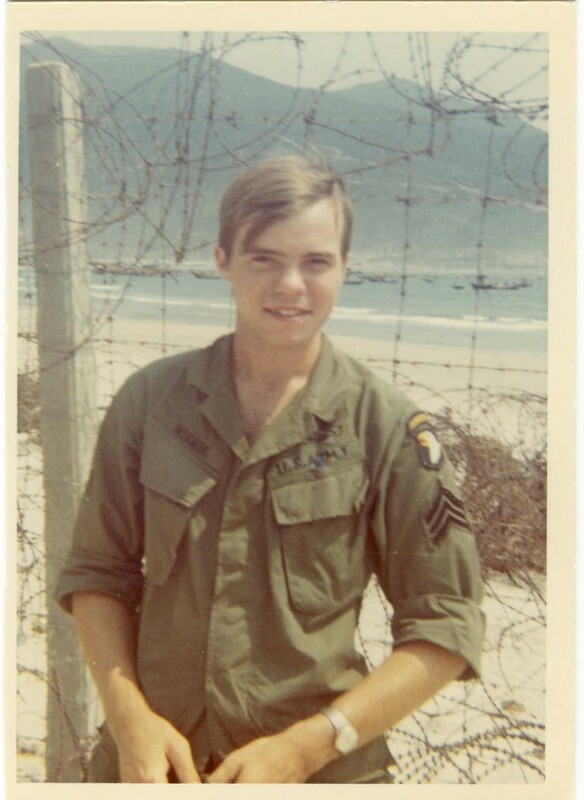 Arthur Wiknik, Jr. stands outside the 95th Evacuation Hospital in Da Nang (February 1970). 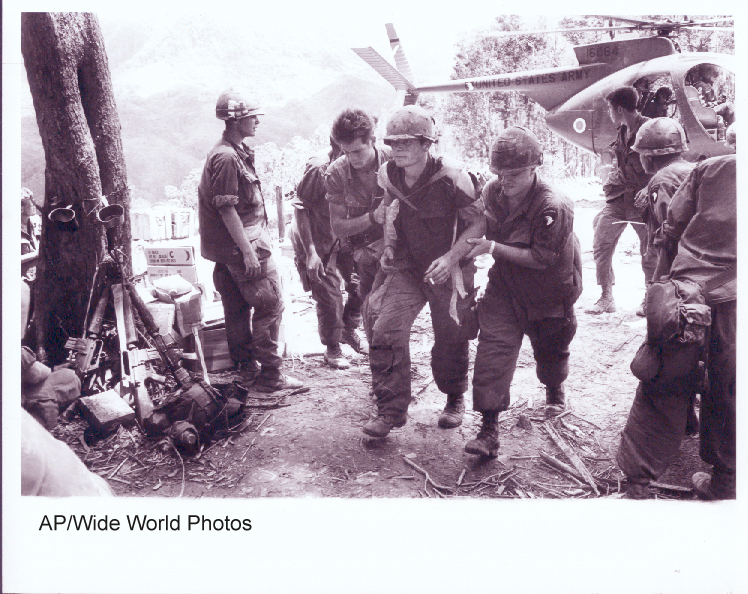 101st Airborne Division troops wounded during the 11th and final assault on Hamburger Hill in the A Shau Valley are brought to a small command post for evacuation (AP Wide World Photo). 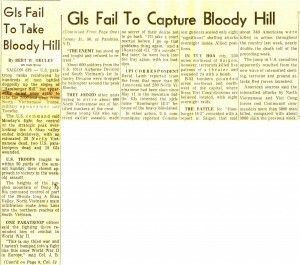 May 19, 1969 Columbus Evening Dispatch (Ohio) front page story. 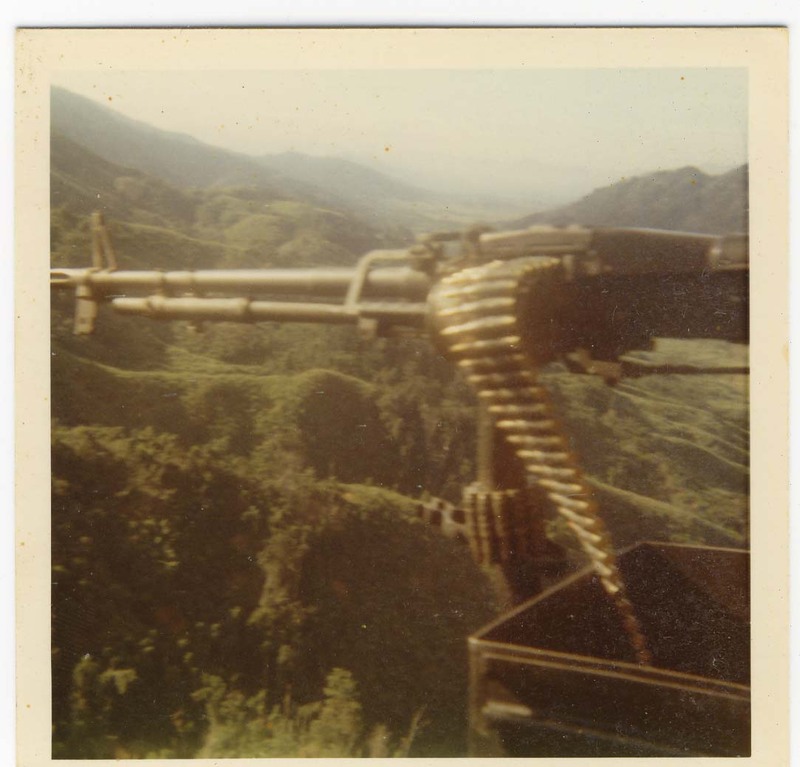 From the Katherine Abboushi collection. 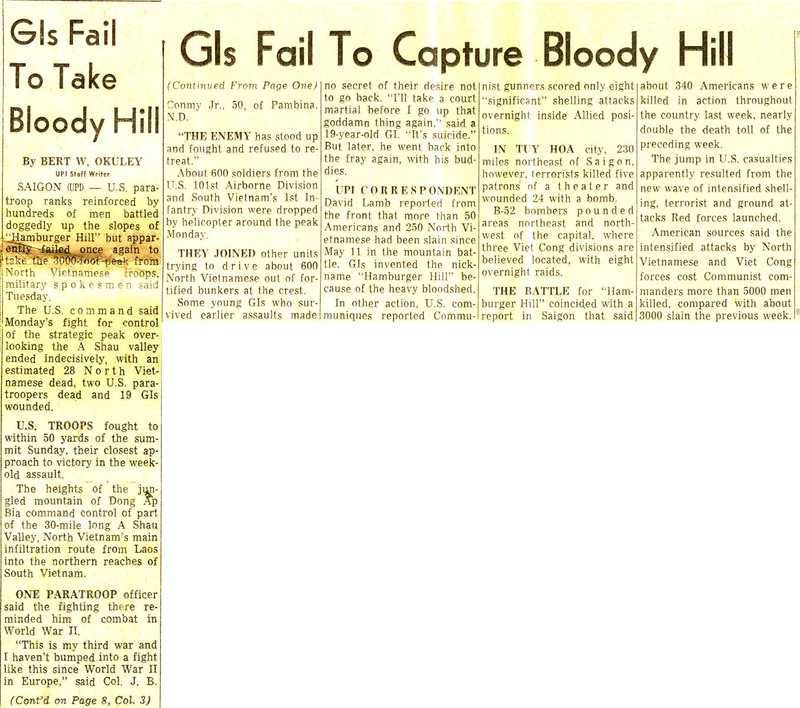 May 20, 1969 Columbus Citizen-Journal (Ohio) front page story. From the Katherine Abboushi collection. 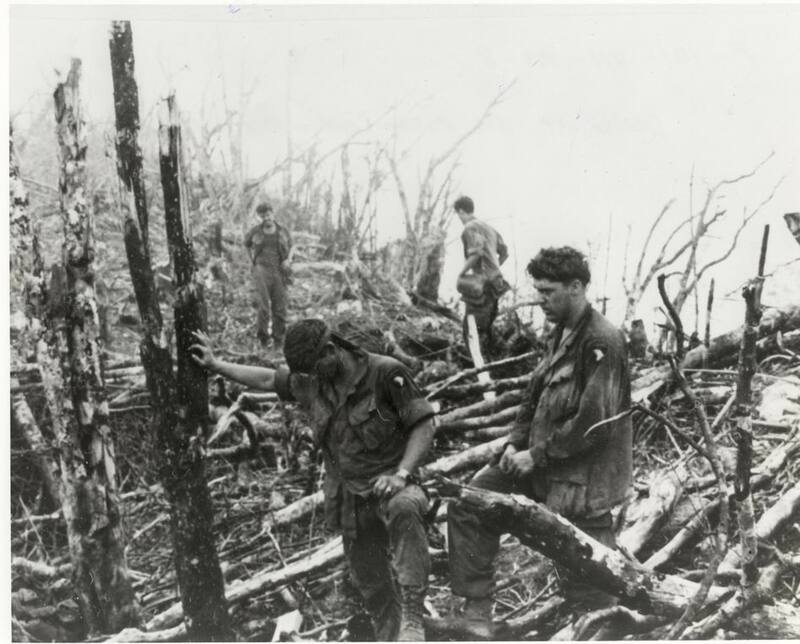 In the aftermath of the Hamburger Hill battle, soldiers from the 101st Airborne Division try to make sense of what they just experienced (US Army photo). 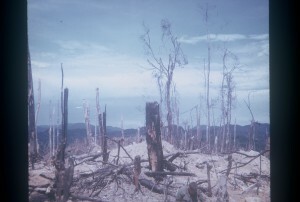 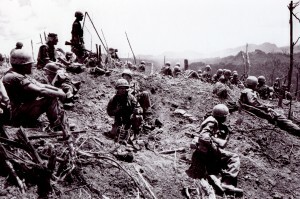 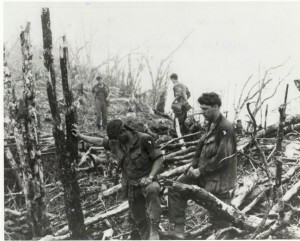 Hamburger Hill after the battle, May 20, 1969 (Douglas Gagne photo). Douglas Gagne from New Hampshire, was a Recon Sergeant who worked with the artillery Forward Observer assigned to Company A 2/506th. 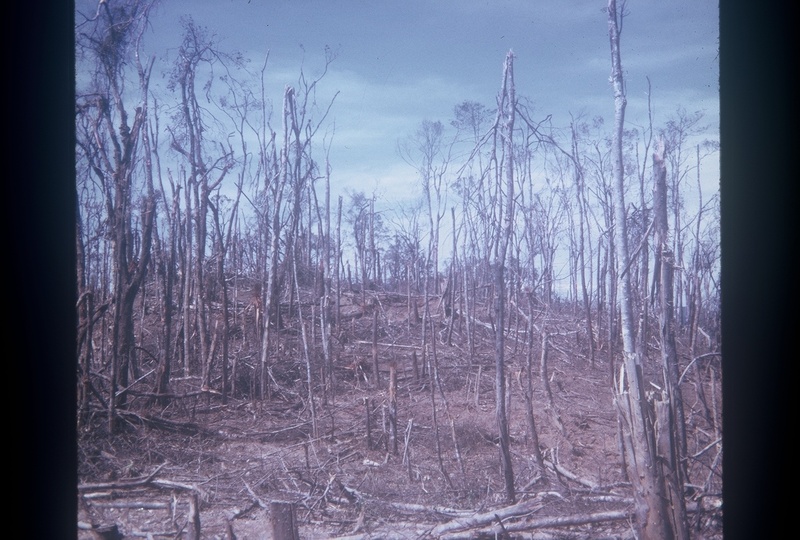 Hamburger Hill after the battle, May 20, 1969 (Douglas Gagne photo). 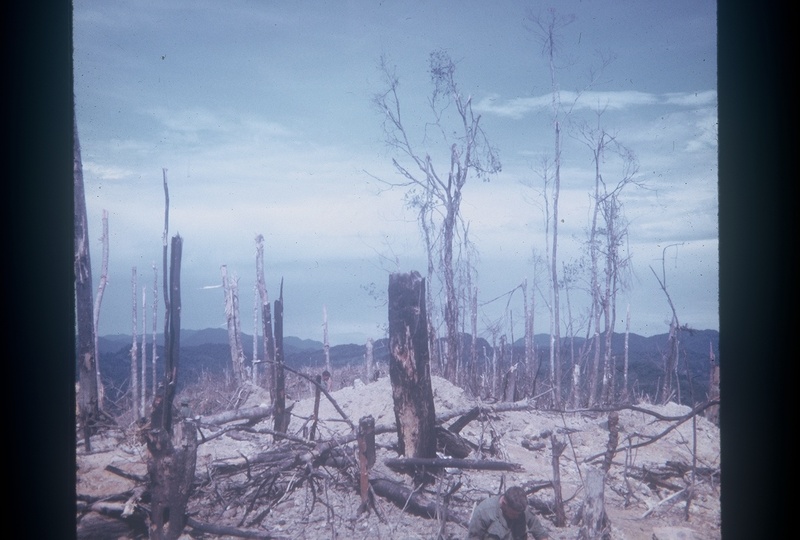 Hamburger Hill the day after the battle, May 21, 1969 (AP Wide World Photo). May 21, 1969 Columbus Evening Dispatch (Ohio) front page story. 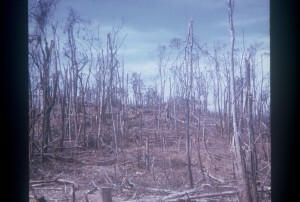 From the Katherine Abboushi collection. 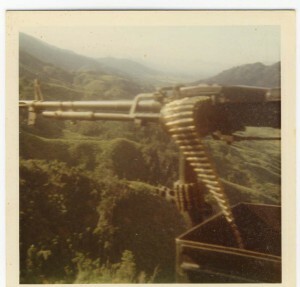 A view of the A Shau Valley over a Bell-UH1D helicopter door gunner’s M-60 machine gun (June 1969). 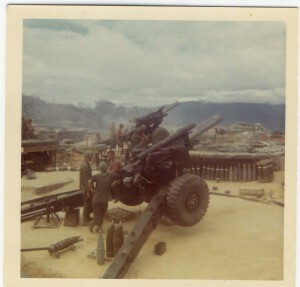 Artillery battery of 155mm howitzers on Firebase Airborne in the A Shau Valley (June 1969). 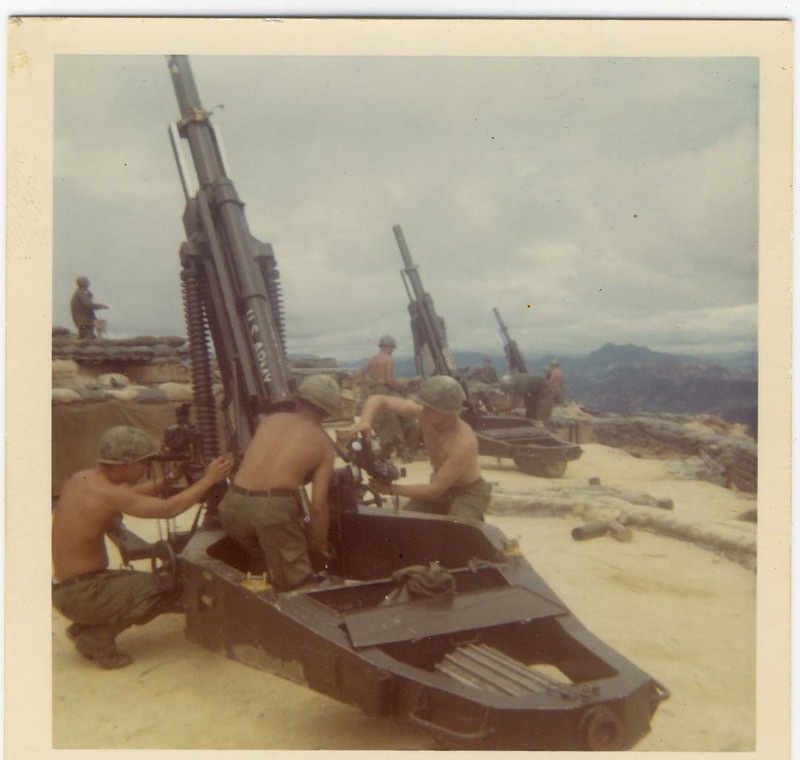 Fire mission for artillery battery of 105mm howitzers on Firebase Airborne in the A Shau Valley (June 1969). 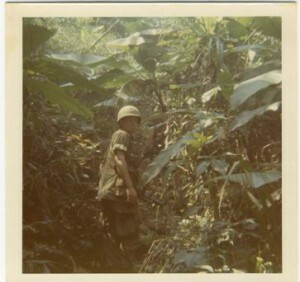 John Koozer from Oregon, carrying an M-79 grenade launcher, glances behind as we investigate an enemy trail in the Annamite mountains ten miles east of the Laotion border (February 1970). 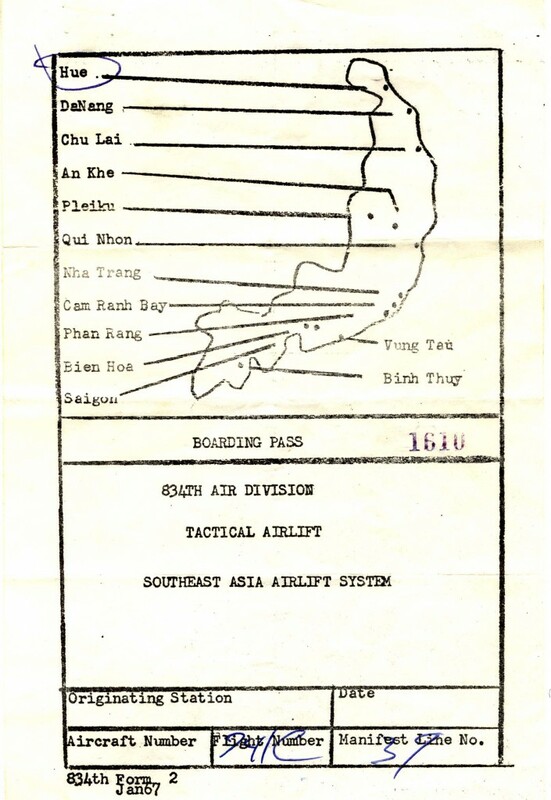 Boarding pass typically issued to US military personnel for flights throughout Vietnam. 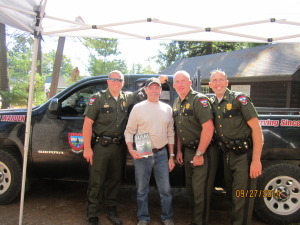 With Maine game wardens Alan Curtis, Morgan the dog, Pete Herring, and Jonathan Parker from Animal Planet’s television show North Woods Law. 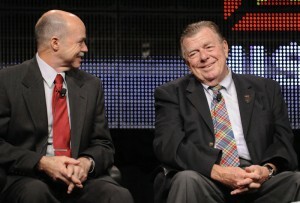 With Vietnam War correspondent Joseph ‘Joe’ Galloway at the Television Critics Association Tour. With actor Lou Diamond Phillips on the set of An Officer and a Movie. 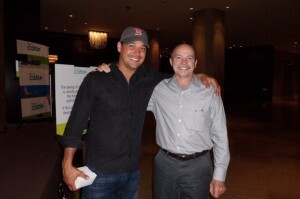 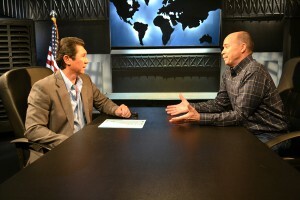 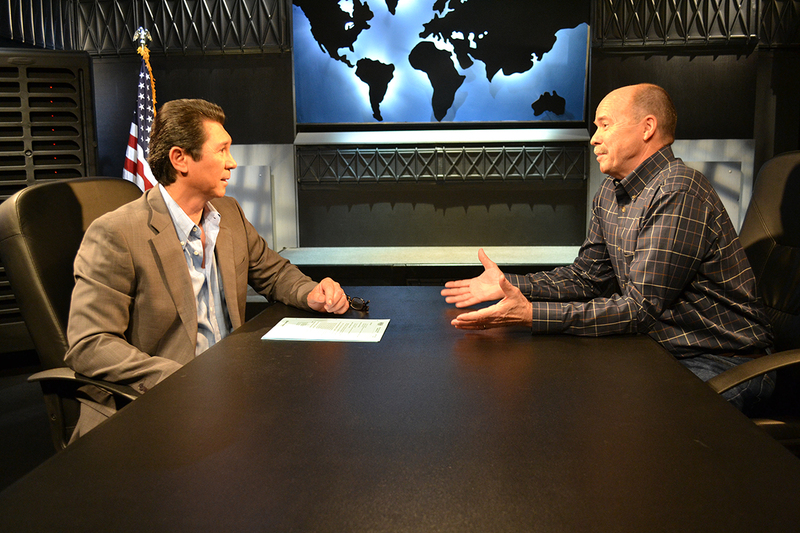 With television personality Robert ‘Boston Rob’ Mariano. 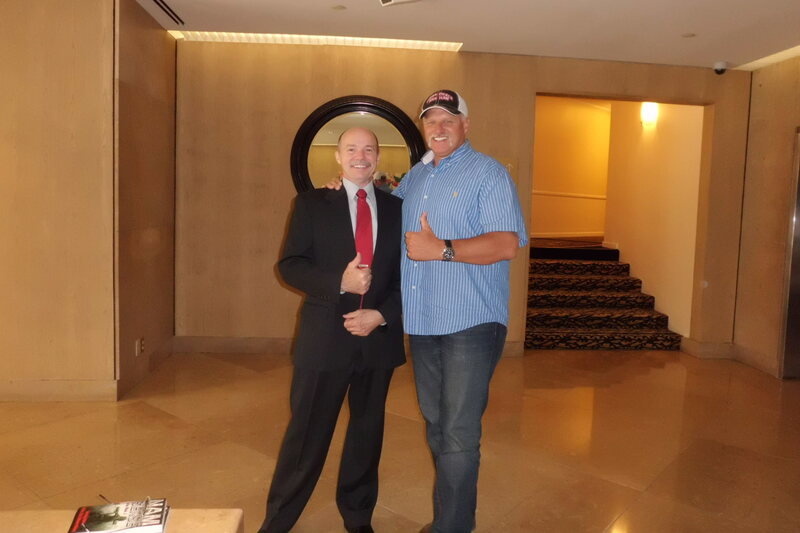 With Dennis Anderson, creator and driver of the Grave Digger monster truck. 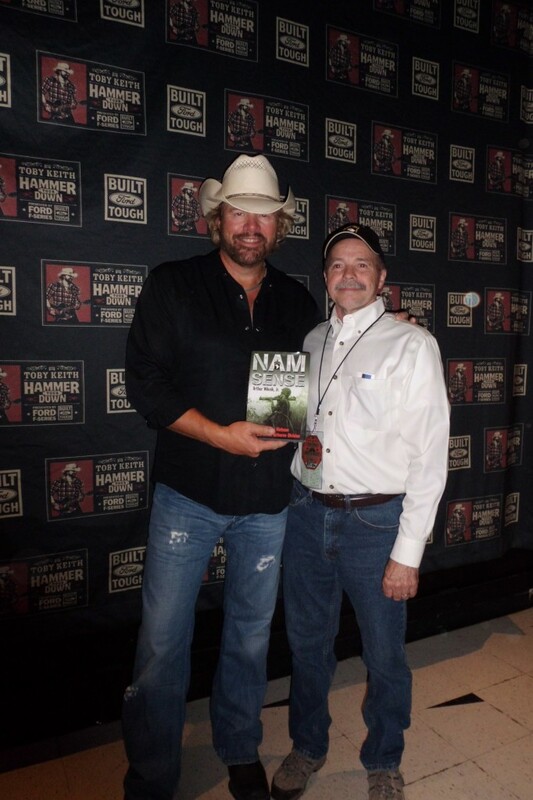 With country singer and song-writer Toby Keith. 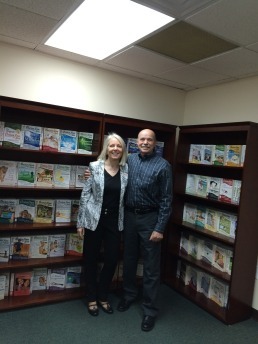 With Amy Newmark, Publisher and Editor-in-Chief of the Chicken Soup for the Soul books.